Manage your studio opening hours and staff hours using the Simple Rostering (click here to see how), however if you would like to go a step further and manage your roster types and wages, then you can use the Advanced Rostering. Go to Settings, then Roster Settings, tick Enable Advanced Rostering, and Save. Now go to Appointment Settings on the right side panel, set your salon opening hours, tick the day(s) your Closed and Save. Next, create your Roster Types. Before you start rostering, you first need to create your Roster Types. The Roster Types are what you apply to your Roster i.e. Annual Leave, Sick Day, Rostered On, Rostered Off, Studio Closed etc. Go to your Rostering tab in Admin. Here are some examples of various Roster Types. You can create your own by clicking the New option in your Roster Types section. Once you have created these here, you're ready to use the Roster. 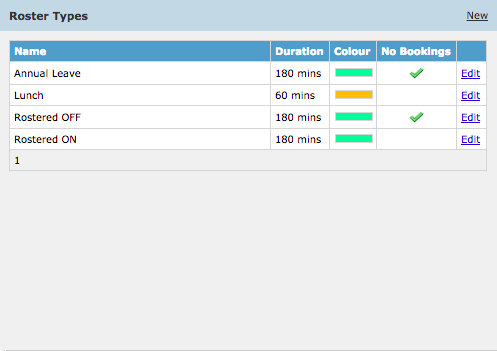 When creating the Roster Types you'll have the No Bookings Allowed and Do Not Overwrite options. 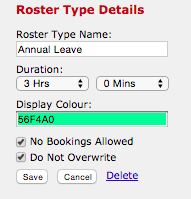 No Bookings Allowed - when creating roster types like Annual Leave, Sick Day, Day Off - this will ensure that when you use these roster types in the Roster, no bookings can be made with the operator. Setting up operator hours & studio hours in the Roster. Go to Settings, Roster Settings, tick Automatically Roster Operators Off, and Save. Now we need to open up the time that each operator is working (roster them on) to allow for bookings to made in their columns—go to Roster. Let's roster on Danny. Click the + next to your operator, and on the right side panel you can fill in the roster item details. Tick the days of the week you're rostering him on for i.e. Tuesday and Wednesday. Tick Allow Online Bookings if you would also like to make this time available for clients to book in with this operator via your Online Bookings site (check out the Online Bookings article for more info). Save the details, and the operator has been rostered on. This time on these days will be opened up in the Appointment. Follow these same steps to roster each operator on for all the days and times they work. 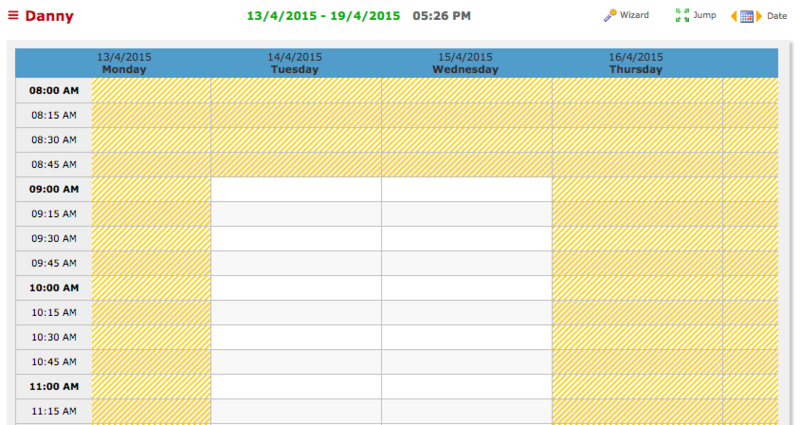 If your operator(s) work these same shifts every week, fortnightly, monthly etc - you can repeat theRoster accordingly. Tick the operator and click Repeat Selected. You can repeat the weeks roster Weekly, Fortnightly, Every 3 Weeks, or Monthly (Every 4 Weeks), for how ever many weeks you'd like. 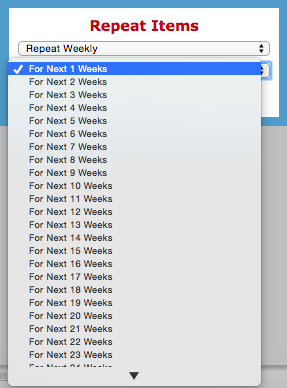 Repeat Selected: Tick the operator(s) and Repeat Selected, which will repeat their weeks roster Weekly, Fortnightly, Every 3 Weeks, or Monthly (Every 4 Weeks), for how ever many weeks you'd like. Clear Selected: Tick the operator(s) and Clear Selected to delete roster items. You can also choose to only delete the current weeks items, the current weeks items including all 'Do Not Overwrite' items, all future items, and all future items including 'Do Not Overwrite' items. Click here to see how to setup your roster rates and wages in the Advanced Rostering (Part 2) article.